Phone:+66 44 601 699 / Find hotel details and room rates. HOP INN Buriram offers 79 comfortable rooms starting from just Baht 600 per night. The hotel is conveniently located close to a lively market. 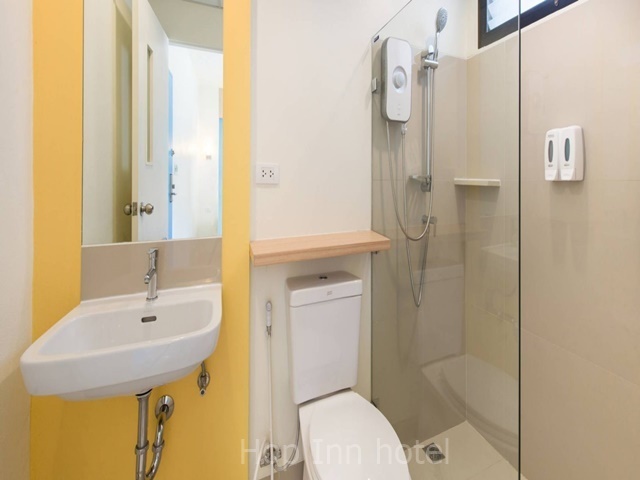 HOP INN Buriram offer 79 clean and comfortable rooms. Starting from just Baht 600 per night, it’s the perfect choice for budget conscious travelers to this fascinating provincial town. The hotel is conveniently located close to a lively market, the I Mobile Stadium, Chang International Circuit, and the bus terminal. At HOP INN, we welcome you with our “4 Pillars Promise.”. COMFORT.,CLEANLINESS.,CONVENIENCE.,SECURITY. Perfectly designed for travelers looking for quality accommodation. Find hotels and places to visit.